Most marketers want some kind of reaction to their advertising. Desired reactions range from increased sales to increased brand awareness to changing a behavior to announcing the existence of a new product. Rarely is the desired reaction so specific as to make people say, "Holy Crap," after they see it but that's just what Nike wanted and that's what Hub Strategy did. To call attention to Nike's sponsorship of the AST Dew Tour, Hub Strategy, which put together a concepting team consisting of an architect, an industrial designer, a planner, a graphic designer and a copywriter. The result? 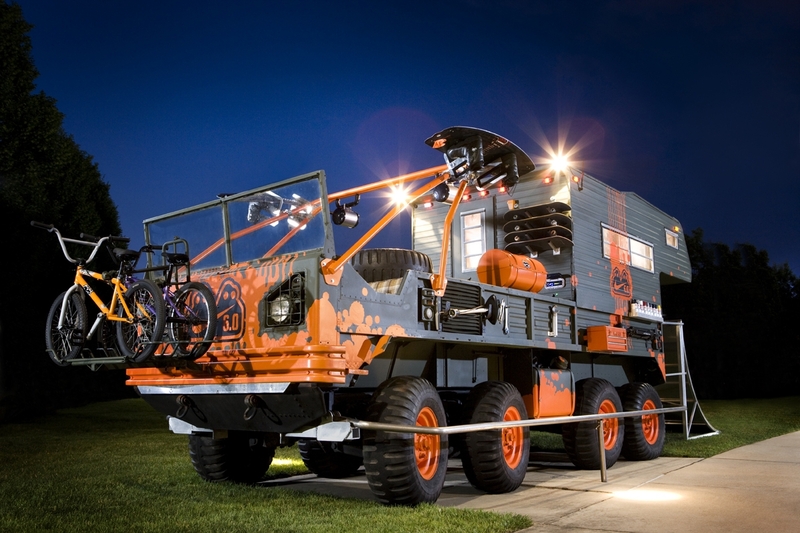 A tricked out extreme vehicle complete with skate ramp, wake board tower, sirk rack, skateboard rails, BMX racks, a camper and, of course, iPod goodness. After looking at the vehicle, one would certainly have to admit to at least a tiny bit of OMG, WTF and, yes, Holy Crap.